Just a little DVD Label for openSUSE 11.4 I whipped up! Thread: Just a little DVD Label for openSUSE 11.4 I whipped up! I'm by no means an artist or a pro at using GIMP but I decided to make a label for the install DVD. Had some free time on my hands, so I thought I would share. 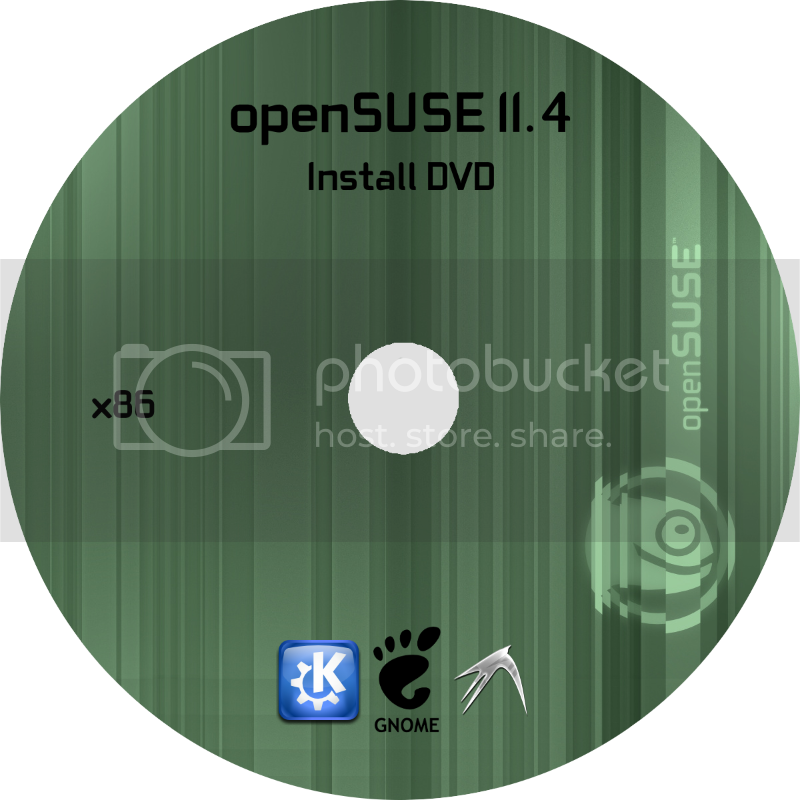 Re: Just a little DVD Label for openSUSE 11.4 I whipped up! Very nice and thank you for your efforts JeremiahMosser. It is always nice to share. Sorry, forgot all about this. Here's the "slightly" larger version!